The City Daily Photo theme for August is “Bicycle”. My contribution is a picture of the YikeBike, a fully folding electric bike. I saw this several years ago in a shop in Auckland, but have not ever seen it in action. Go to the YikeBike website for video clips. The unconventional handlebars, the origami-like fold up, not least the glistening finish – a feast. 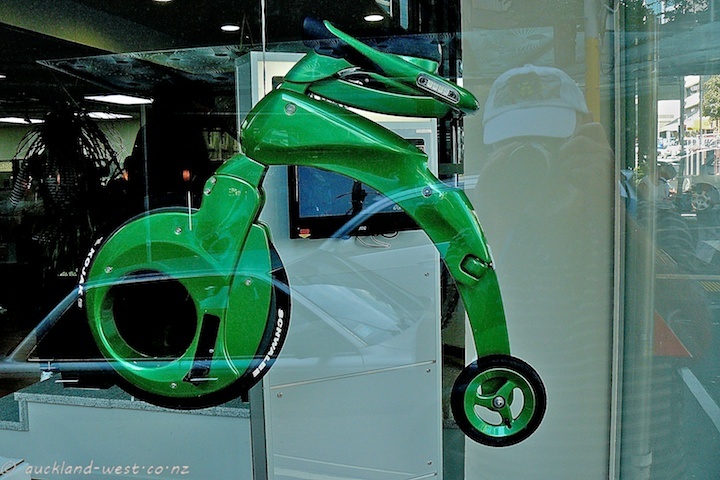 Headquarters and manufacturing of the YikeBike is in Christchurch, New Zealand. 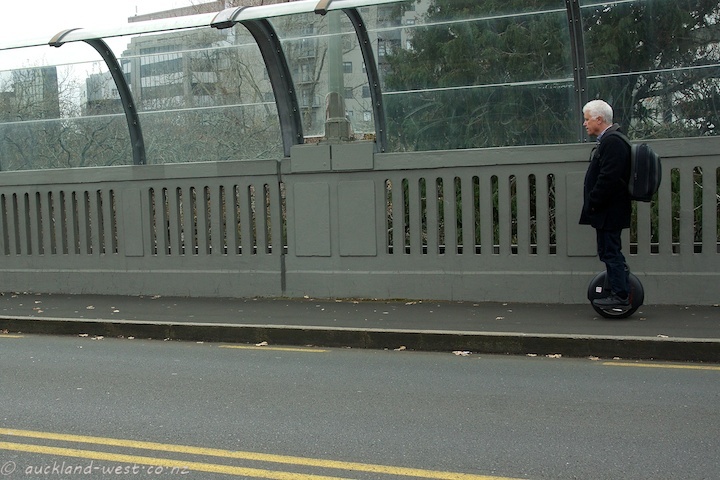 And while on the subject of intriguing modes of electric-powered locomotion (but outside the brief of “BIcycles”): just recently when I was framing a shot on Grafton Bridge, Auckland, a gentleman floated into the picture on a single wheel: an “AirWheel“. Looked very classy and does not even need to be folded up! For more contributions to the theme of “Bicycles” click here.